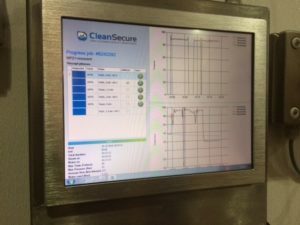 The tankcleaning industry today are scrambling to identify the most important measurements they can use to ensure that tank containers get a good clean and their organizations continue to grow. In fact, the tankcleaning industry has recently been having a lot of conversations about measuring the tankcleaning process. Certain customers are demanding process traceability. For instance, global agriculture, food and nutrition company Cargill has demanded this. Some industry organizations have touched on the issue whilst adhering to meet their industry standards and certification standards. Does this make any sense or will this be water under the bridge in a few years? Moreover, what does process measuring bring to you as a tankcleaning entrepreneur? This article aims to analyze the process measuring system and how it can impact on your business. Most tankcleaning stations have decades of experience cleaning tank containers. They have survived without measuring. So, why would they want to do things differently now? This is a fair question and the answer should be because you want to deliver a good clean and earn money. Making profits because you eliminate production waste should make your business stronger and satisfy customer demands. Eliminating waste in production is one of the key aspects of the principles of lean manufacturing. You can find out a lot about lean manufacturing on the internet. These principles are suitable for small businesses as well as large production companies. LEAN tankcleaning companies understand their production costs and quality drivers and know to manage them. This is based on the principle “what gets measured, gets managed”. Overproduction is hardly measured, even when some tankcleaning stations do collect some statistics about rejected tank containers. However, this is not wise for a business to do because the financial impact of overproduction can hurt a business. Just adding some extra time for a clean can “eat at your margin in only minutes”. A cleaning process with three spray heads consuming 35 litres per minute for each head will consume more than 100 litres each minute. This results in 100 litres of more waste treatment. If a modern tank cleaning facility needs to produce an hourly production turnover of about €220 per hour, this equals €3.50 per minute. Hence, a few additional minutes of overproduction can leave a hole in the pockets of a tank cleaning business. Therefore, it is essential for an entrepreneur to be in control. It is also essential that the actual cleaning process is done by cleaners at the bays that are in line with your price calculations to help your customers. In contrast, the cost of underproduction can have a bigger impact on the cleaning supply chain. These costs are often shared by different parties in the chain. An obvious example of underproduction is when a tank container is not cleaned well enough. If detected upon loading, the tank container is rejected for loading. It wastes time to return a tank container to a tankcleaning station and can lead to a business losing a customer. Customers could even leave to go to your rival. However, there is more cost in the chain involved with underproduction. At the loading location, the production stops as the loading tank must be emptied first. Elsewhere, this can also result in production stops as the delivery address would have scheduled a time-slot for production of the incoming ingredient/ product. As a consequence, if the tank container does not arrive on time to its scheduled destination this will cause problems in the production supply chain. In addition to this, if a tank is not cleaned properly and this is not realized before loading, contamination can occur and this could result in devastating consumer recalls. Well-known bad incidents have occurred in the food industry. However, many incidents are not openly communicated. Furthermore, many of these incidents pass unnoticed as nine times out of ten a paper check is the only evidence sought after to check if a tank has been cleaned properly. All in all, there are major costs involved if customers get a poor clean and it is good to take a professional position when being part of the food supply chain. It is one of the reasons why the food industry now takes traceability so seriously. Why do cargo owners prescribe cleaning processes? One of the main reasons is because they do not want to take risks and the cleaning industry does not always have access to a structured process approach to achieve optimal cleaning. Process measuring can help to improve cleaning processes. Process control can help you to ensure that the optimal process is also assured in execution. Many cargo owners are open to adopting a structured process control approach to eliminate waste in the process, if they understand that you are in control of your cleaning production process execution. This can make your cleaning station stand out from your competition. Even if the (end) customer prescribes the cleaning process detailed above, it is important to do this in a fair way. How can you be sure that your rival is also living up the same process demands and not just declaring conformity by showing a cleaning certificate? Often the cheapest clean is a short one. So, being transparent on your longer cleaning process is not always a benefit. Especially when your competition is also providing a professional cleaning certificate, but is not transparent about the actual process. It is here where the shippers and cargo owners have a responsibility in the quality chain. More and more professional cargo owners are insisting on an electronic process of transparency. This is to ensure that the tank containers cleaned for transporting their products are cleaned well according to agreed requirements. It is also to validate the cleaning process prior to loading the tank containers. Correct hazard analysis and critical control points (HACCP) analysis do flag the cleaning process as a high risk, as it concerns direct product contact, a process done externally and is beyond direct process control. This creates professional connection and appreciation between cleaning stations and shippers, and cargo owners.